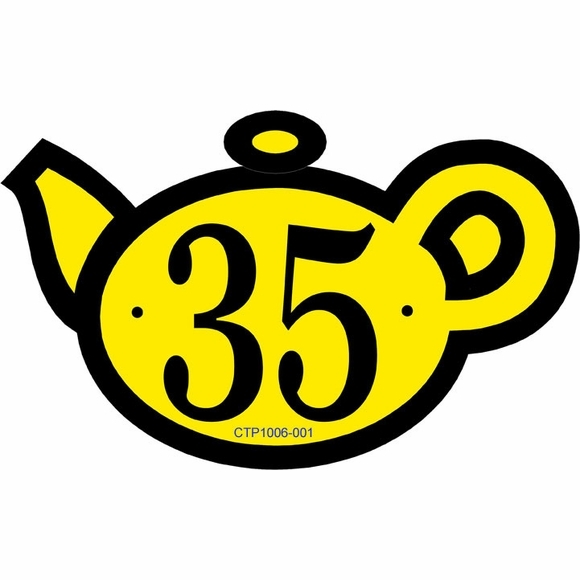 Personalized Teapot Shape House Number Plaque - - the address sign that instantly identifies you as a tea lover or a tea seller. Made in USA. 10"W x 6.25"H address sign is in the shape of a simple tea pot, boldly outlined in the same color as your house number. Holds up to two 3.5" numbers. Note: the style number on the sample sign is for internal use only and is not on your custom sign. Dimensions: 10"W x 6.25"H x 1/8". Teapot shape address plaque crafted in the USA by skilled artisans to assure the highest quality.